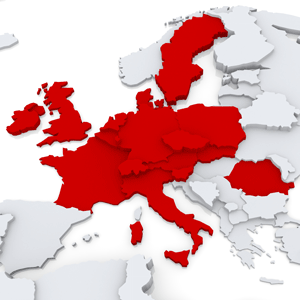 With its 8 European sites, the edgings specialist Ostermann offers both the largest range of edgings in Europe and also the largest cross reference list with over 120,000 matches to the surfaces of more than 70 board suppliers. Apart from the head office in Bocholt (Germany), there are branches in the Netherlands, France, Italy, Belgium, Great Britain, Switzerland and Czech Republic. New branches are regularly added to the Group. Ostermann is also represented at numerous locations with expert sales teams and a customised Online Shop in the relevant national language.